Sokoto State Govt. trains 79 local miners – Royal Times of Nigeria. Sokoto state government has sponsored the training of no fewer than 79 local miners to acquire modern skills to takeover several Federal Government mining sites in the state. Malam Imam Imam, the Special Adviser to Gov. 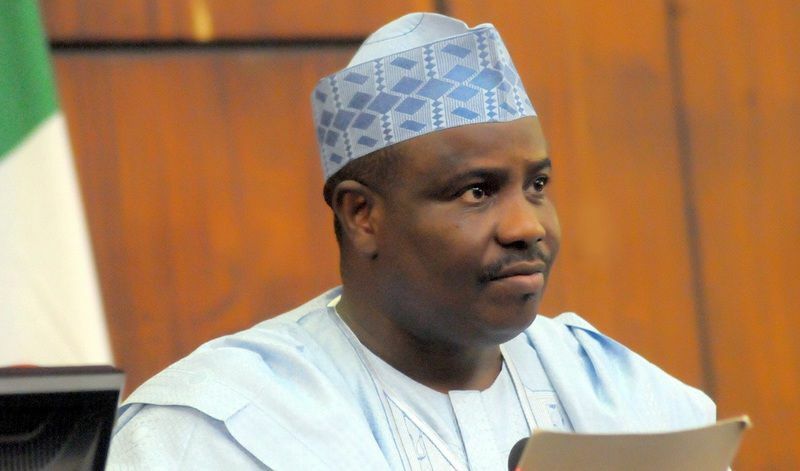 Aminu Tambuwal on Media and Public Relations, made the disclosure on Tuesday in Sokoto. Imam said the gesture was to boost solid mineral potential of the state, adding it was one area that had received the state government’s attention and focus for development. Imam said beneficiaries were expected to also train others in the mining communities, stressing that the idea was to key into Federal Government’s agenda on diversification of the economy and to boost employment opportunity among youths. The governor’s aide said the initiative had started having positive impacts on the lives of people of the state. He said that the state government was partnering with Raw Material Research and Development Council, Federal Ministry of Solid Minerals and Federal Ministry of Environment as well as other stakeholders to drive the project. He explained that the state government, in addition had designed series of empowerment programmes for women and youths as part of its efforts to making them become self reliant and productive in the society. Imam said such training was either organised directly by government’s ministries and agencies in collaboration with Industrial Training Funds (ITF), National Directorate of Employment (NDE) and other stakeholders with similar mandates. According to him, Sokoto State Small and Medium Scale Enterprises Development Agency (SOSEDAN) is vigorously facilitating the growth of various entrepreneurs through coordination of its activities, access to funds, markets and management at different levels in the state. On agriculture, Imam said the state government was partnering with the Dangote group to boost rice cultivation through anchor borrower scheme. The governor’s aide said that 500 hectares of land were cultivated this year. He expressed optimism that the farmland would be expanded to about 2,000 hectares next year flowing from this year’s farming season huge success. He noted that the dry season rice farming was successful in the state as government provided nets against `quela birds among other incentives. He said the Rabah farm named: “Sokoto Cattle Breeding, Dairy and Beef Processing Project’’ was established by the state government and equipped with modern tools and machines while foreign professionals were invited to train indigenous managers. Imam said state government facilitated the establishment of the state commodity board in which harvested farm produce were being purchased from farmers at appreciable prices to prevent loss due to market fluctuations. According to him, such commodities are being released to markets for public consumption as the need arises, to prevent hoarding, which usually results in price manipulation and artificial scarcity. “Government also facilitates the establishment of textile and fertiliser companies through public partnership initiative where government invested percentage to argument farmers efforts, increased internal generated revenues and employment opportunities in the state. “The government had facilitated the establishment of smaller rice mills and other agro-allied processing company at various locations to complement productions and markets,” Imam said. He said that a working committee was inaugurated to facilitate and coordinate all the agricultural projects in the state.